Walmart Inc. is big in almost every way — 4,755 stores, 1.5 million employees and $380 billion in revenue in the United States alone. 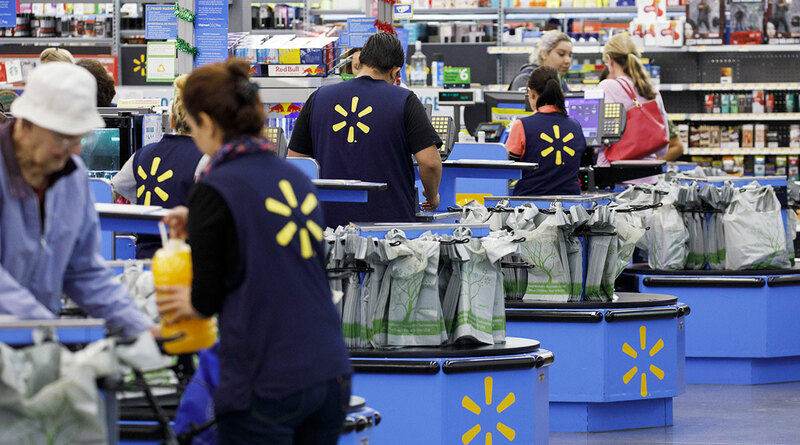 But one part of the world’s largest retailer remains minuscule. Walmart ranks No. 2 on the Transport Topics Top 100 list of the largest private carriers in North America. With about 300 million shoppers visiting its stores each month, according to Forrester Research, and millions more on its websites, Walmart draws in more people than Google, Facebook or Amazon. That audience, and the purchase data they generate, are catnip for big advertisers such as Coca-Cola Co. and Kraft Heinz Co. But Walmart and other retailers historically haven’t done enough to convert that data into dollars, particularly online. Having watched Amazon.com build a massive advertising business, brick and mortar stores are looking to do the same. Walmart, Target Corp. and grocery chains Kroger Co. and Ahold Delhaize quietly are courting big brands with a sales pitch that goes something like this: Facebook might know what your customers like, and Google might know what they want, but only we know what they actually buy. The potential is vast: Last year U.S. ad sales hit a record $208 billion, according to researcher Magna, and, for the first time, 50% of that spending was online. Facebook and Google combined gobble up more than half of those digital dollars, according to data tracker eMarketer, while Amazon gets only 5.5%. Retailers have tried to capitalize on advertising before. About 20 years ago, Walmart unveiled its own in-store television network that showed product ads, movie trailers and music videos. By 2004, Walmart TV had 180 million monthly viewers, but the advent of digital media upended its channel in the same way it disrupted traditional networks.Now, retailers are paring data harvested from purchases and loyalty with analytical tools that promise advertisers bigger bang for their buck. Take Coca-Cola, which is running two campaigns right now with Peapod Digital Labs, a new entity formed by Stop & Shop owner Ahold Delhaize last year to boost its online growth. If that sounds far-fetched, consider Alibaba. The Chinese e-commerce giant already generates more than 60% of its revenue from advertising and last year acquired a stake in a digital ad firm. “The path forward for many retailers will depend on creativity and realizing profits in other ways,” UBS analyst Michael Lasser says.